What happens when fluoridation is stopped? When fluoride becomes incorporated in teeth, it makes the enamel more resistant to demineralization, preventing the decay process. Illustration: TuftsNow. Anti-fluoride propagandists continually assert that fluoride is not effective in reducing tooth decay. One piece of “evidence” they rely on for this is a claim that when fluoridation is stopped dental health does not decline, But is this claim true? Does the scientific literature really show tooth decay doesn’t rise when fluoridation is stopped? Pretty definite claim isn’t it? “No evidence” of the expected increase in tooth decay after fluoridation is stopped. And he cites scientific reports to “prove” his claim. But what do those four scientific reports actually say? Let’s look at each one in order and, unlike Connett, I will quote from the papers. So when we actually read these cherry-picked reports we find that, while no increases in tooth decay were found after fluoridation stopped, in all 4 cases this was attributed to the existence of other sources of fluoride and fluoride dental treatments. This is a similar situation to that I reported about one of Colquhoun’s papers in my recent article Fluoridation: what about reports it is ineffective? In that case all children from non-fluoridated areas had been given six-monthly dental fluoride treatments whereas most children from fluoridated areas had not. So the lack of an effect due to fluoridation is hardly surprising. He had the same response in our exchange when I pointed to the role of other fluoride treatments in these studies. Connett attempts to avoid the issue of his misrepresentation of the published science to support his claim that fluoride does not help prevent tooth decay – by acknowledging fluoride can be beneficial but pretending the argument was about the mode of delivery when it wasn’t! Connett’s reference to ADA is actually to their booklet Fluoridation Facts. It appears the he has read page 15 – What happens if water fluoridation is discontinued. He has taken the 4 citations he uses from that page. But tellingly he ignores completely another 5 citations reporting deterioration of oral health when fluoridation was stopped. He cannot have missed those citations – in this case his cherry-picking amounts to dishonesty. In Fluoride debate: Ken Perrott’s closing response to Paul Connett? I discussed one of the ADA cited papers which did show an increase in tooth decay – Attwood and Blinkhorn (1991),“Dental health in schoolchildren 5 years after water fluoridation ceased in South-west Scotland.” They measured dmft and DMFT – decayed, missing and filled teeth in primary and permanent teeth respectively. The plots indicate aspects of the complexity of these sort of studies. Because 2 different towns were compared it was possible to measure the decline in oral health after discontinuation of fluoridation against a background of the general improvement in oral health, even in a non-fluoridated situation. This entry was posted in Health and Medicine, SciBlogs, science, Science and Society and tagged Connett, fluoridation, fluoride, SciBlogs. Bookmark the permalink. Thanks for another very useful piece. I’ve been trying to retrieve/find the Danish advise to not extrapolate for a couple of years – you found it for me. At the last US National Oral Health Conference Dr. Jay Kumar presented a computer model which simulated the economic impacts of fluoridation discontinuance. The simulation model was first used on Colorado data and published by the CDC comparing the return on investment for 18 separate interventions for early childhood caries. Prev Chronic Dis. 2012 Mar;9:E66. A simulation model for designing effective interventions in early childhood caries. Hirsch GB, Edelstein BL, Frosh M, Anselmo T.
Kumar’s paper validates the model and predicts the increased costs associated with discontinuance. The model can accommodate added interventions to ameliorate the loss of fluoridated water and will show added costs even if decay measurements don’t fall because of the new public health programs. I am hopeful that this computer model will become generally available for use by City Councils and Water Bureaus wishing to predict the outcome of a discontinuance decisions. Many of us are also working to use US Medicaid billing data to study the harm from discontinuance. That fluoridation prevents about 2/3rds of the operations and avoids up to 50% of the dental bills for poor preschool children has been confirmed in Louisiana, Australia, England, New York, Texas and Oregon. We have no equivalently compelling discontinuance data and a change should be evident within only 3-4 years. The study requires only evaluation of billing data so is very inexpensive. We know from the Brunelle and Carlos data that fluoridation’s effect on school children’s adult teeth is unimpressive prior to the teen years. We need to be very careful not to undertake discontinuance studies using an insensitive measure of fluoridation’s benefits. Complicated studies which require a decade or more to complete may be interesting scientifically but are useless for practical fluoridation politics. Done over an inadequate time frame will give Connett and his minions another citation. It appears from afamildura’s response in the pingback above that he has come on board. Fluoride is safe and effective – his only problem is the mode of delivery. He objects to fluoridation of drinking water but is happy to accept fluoridation of salt and milk and fluoride dental treatments! Then why go to so much trouble to attempt to discredit fluoride in general? Why not just stick to the problem he has with supplementing F in drinking water. Then we could have a rational discussion instead of having to continually debunk his claims about toxicity and ineffectiveness. No – as with Connett this is only a tactical withdrawal on his part. And it is surrounded by anti-fluoride propaganda in general in Connett’s book and alamildura’s blog. They have no other answer when this is debunked. @Ken – Just saw your comment. Okay, will reply in a new post on our blog soon. I see alamildura has corrected the impression he left with a previous criticism of this article that his only objection to CWF was the method of delivery. He created that impression by attempting to divert attention away from the point in my article that Connett, and other anti-fluoridation propagandists, have distorted and misrepresented their citation of the scientific literature to create the impression that fluoride is actually ineffective in combating tooth decay. Good,he has backed away from that diversion – so perhaps he can now comment on the content of my article. That anti-fluoridation propagandists are in the habit of misrepresenting and distorting the science they cite. What about it? No more diversions? Honesty is an extremely important question in such discussions. This 2006 Committee deemed fluoride at 2.0 ppm to be adequately protective of the health of the public. Water is fluoridated at 0.7 ppm, one third the level deemed safe by the Committee on which Dr. Thiessen sat. Either Thiessen is as incompetent as Hirzy, or she didn’t bother to read the study she so readily endorsed. Either way, she has no credibility. What MAY happen IF “F” ends and I have hope I’m still alive to see this end. 1. There MAY be LESS joint damage, hence less replacements going on. I ended up with a hip replacement a year after our city dumped this “stuff” in our pretty clean waters that I lived wtih for 48 yrs… This replacement outcome has been hellish…..going into my 4th year post op. Too many negative side effects from this replacement mess. 2. There MAY be less thyroid dsyfunction going on and inceased health due to a more healthy thyroid. Hopefully less anti depressant drugs being pushed on folks due to depression and other health issues due to a “sick” thyroid. 3. There MAY be an increase in toothpaste with “F” sales, our joints and organs don’t need this “F” build up in our bodies….you want to use “F”, brush it on your teeth and SPIT IT OUT. 4. The polluters will have to find other avenues to get rid of their Hazard Waste Materials. And their 2000% profits will drop off. And plenty of the pushers will lose the profitable jobs. There is ABSOLUTELY no ABSOLUTES to this 70 yr fraud, I just know my own experiences of living in this Stuff and what I’ve gone thru in my soon 76 yrs…and what I’ve learned about all this and what I believe and I know I’m not alone in this FRAUD. we look at your post and you had hip problems 12 months after fluoride started, well that is rubbish to try and blame that on fluoride, it is more likely you had a calcium deficiency. 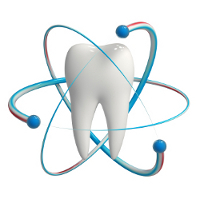 Once you remove the chemicals and processing from your food there is no need for fluoride to protect your teeth. You don’t even know what the word chemical means, yet you write this drivel. when you look at the fluoride issue from another way Firstly It is not in Connetts interest to stop fluoride. There are too many of his family and friends on the gravy train. It is not hard to find balance sheets and income information on the net for FANN. Connett will be a very old man IF they accomplish STOPPING this horrific poison in our waters.. He is not a rich man, but believes in what he does. Get off your crap you F pushers. Talking to 2 people in the water area of my market today, and discussing the great alkaline water we buy, “F” water is major ACID….. The one woman said, make sure one does not fill their fish tanks with tap water….nor feed their pets “F” water….. Nothing but a FRAUD, if “they/you” want children to get “F” buy them toothpaste with F…..but make sure they SPIT it out…. Gravy train Connett, no way….the gravy has been the polluters for TOO LONG. The moron doesn’t know what inorganic chemicals are either.